- Here I am, - was bragging the goose, - I can fly in the sky, and can swim in the water, and can walk on land. - So you can fly in the sky. But can you fly like an eagle? - he was asked. - No, I can not fly like an eagle. - So you can swim, but can you swim like a fish? - No, I can't swim like a fish. - Can you run on land like a horse? - No, I can't run like a horse. 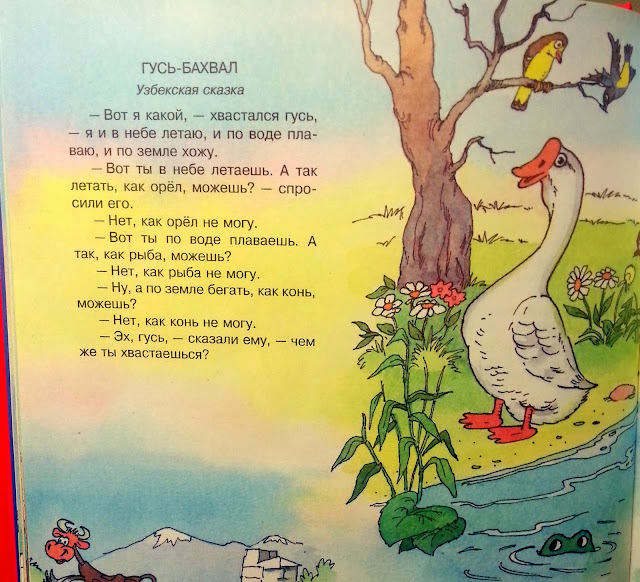 - Well goose, - he was told, - why are you bragging then?